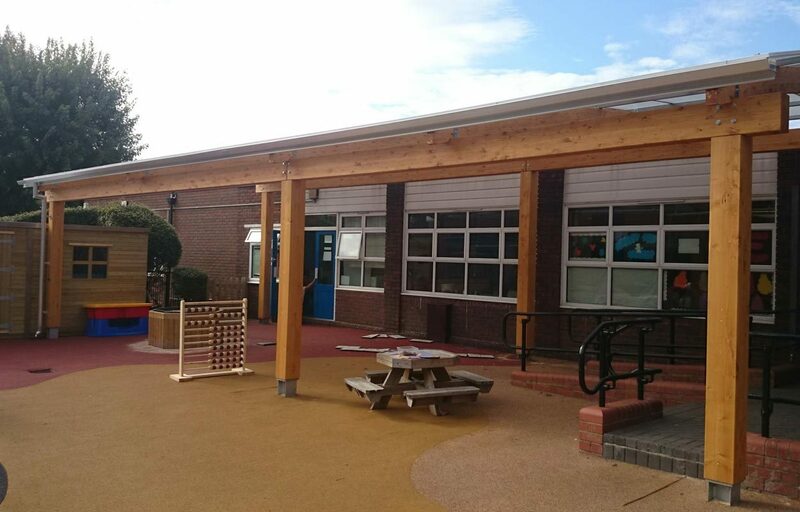 Two mono pitch design timber canopies designed and built for infant school. 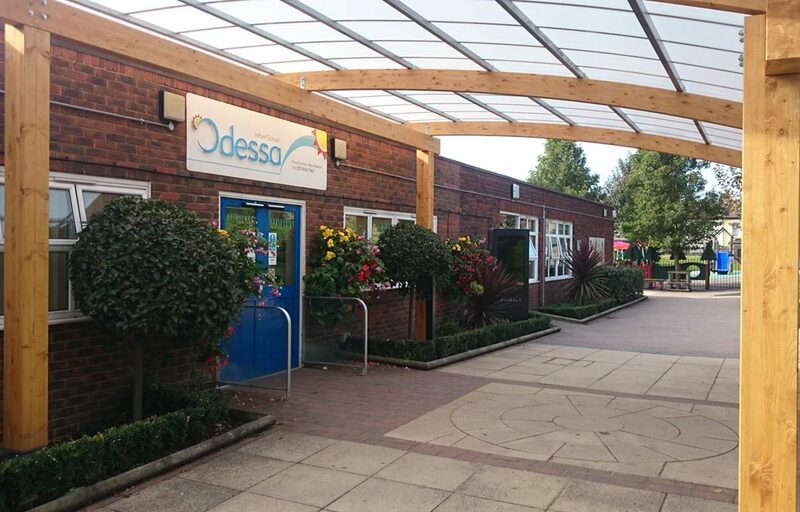 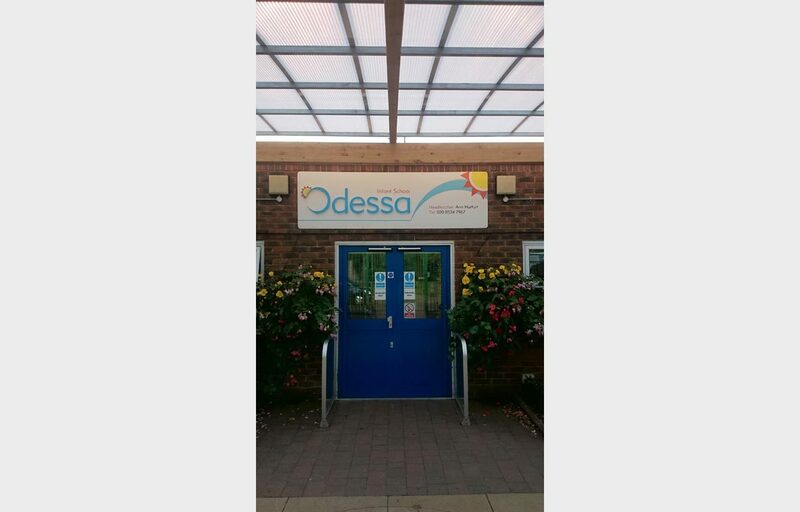 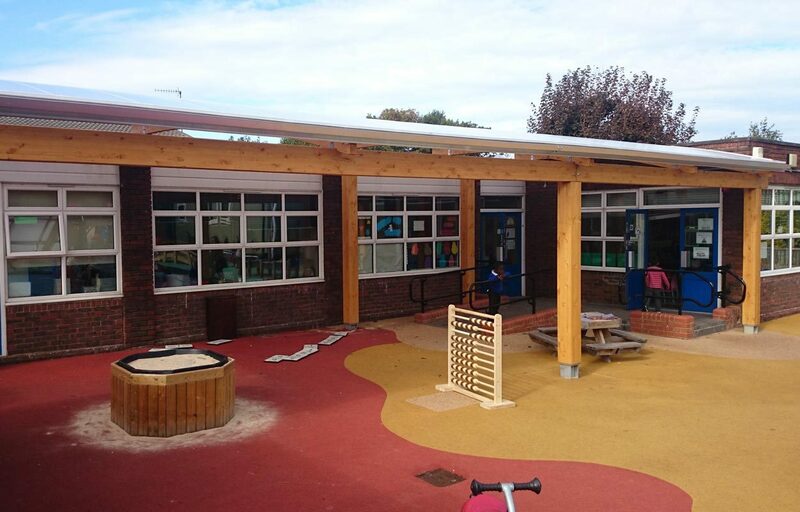 Two timber canopies have been designed and built for Odessa Infants School in Newham, London. 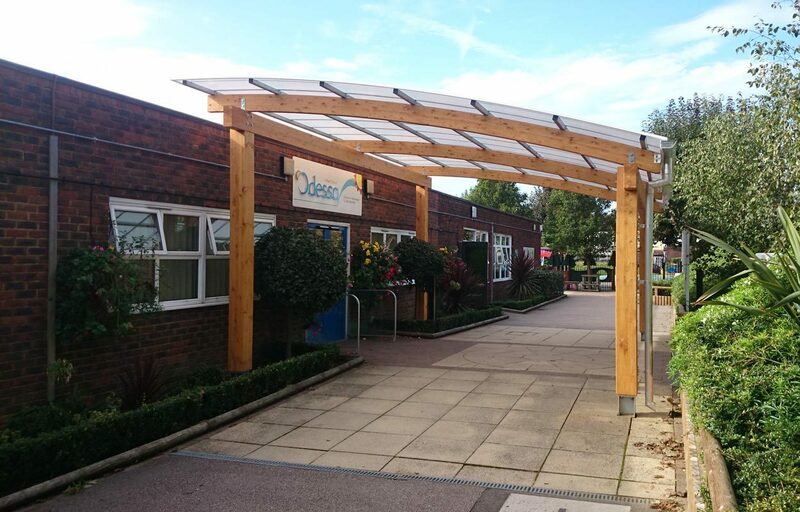 One will act as an entrance canopy to the main entrance of the building, providing an aesthetically pleasing focal point to the school and creating cover for children and parents. 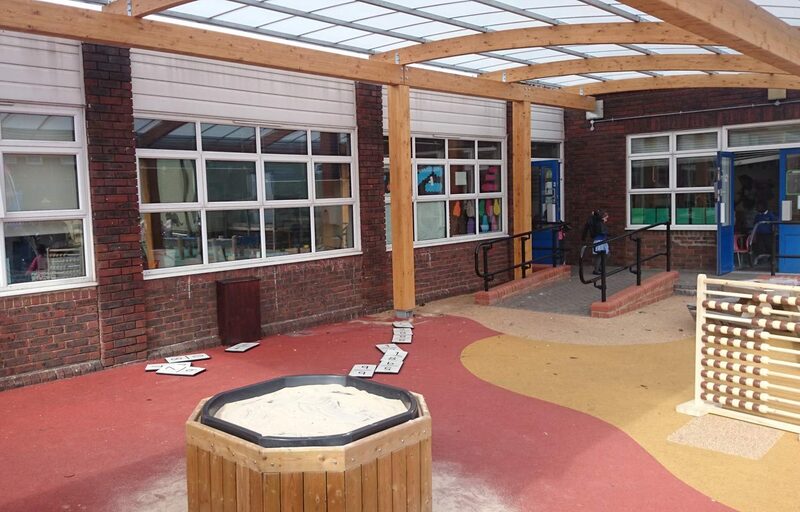 The second structure creates a sheltered play area alongside an existing building while also providing cover for three separate doors underneath. 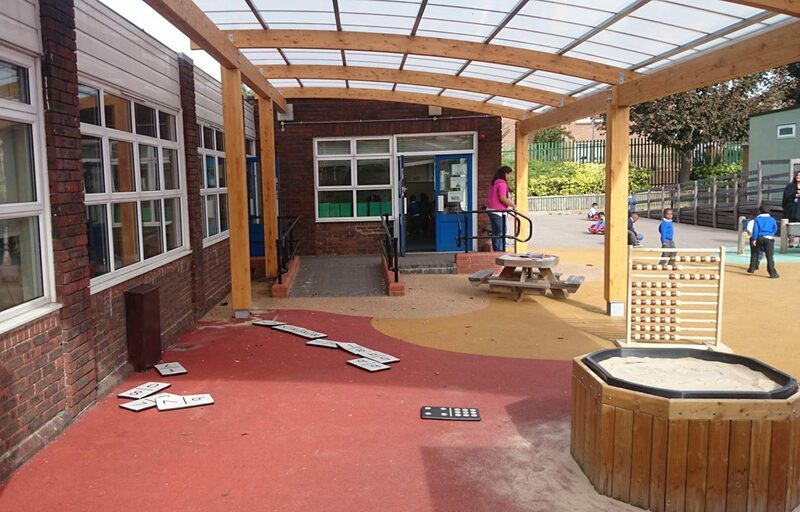 The canopy will also shade the adjacent classroom keeping it cooler in the summer months and reducing the need for air conditioning.